It seems hardly a day goes by without another news story touching on the need for more housing in the UK. Much of the land for new housing projects comes from surplus public sector land so it will come as no great surprise that, having one of the largest estates in the UK, the Ministry of Defence (MOD) has been heavily involved in meeting the Government’s initiatives. 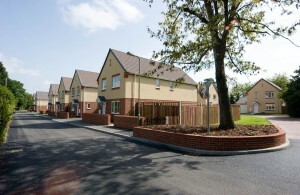 In late spring 2012 MOD was given a target to sell sufficient surplus land to the private sector to deliver some 40,000 housing units by March 2015. A quick blast of estate facts to help the uninitiated; on average you can assume that some 35 houses can be accommodated on 1 hectare (2.4 acres) of land. If it’s a large site, the Local Planning Authority will require provision of supporting infrastructure – roads, community buildings, schools, leisure facilities, public open space and so on, which means that the larger the site, the more land will be eaten up in non-housing elements. Bordon, to be vacated later this year, is some 200 hectares (ha) in area but 107 ha of that is allocated as green/public open space, leaving only 93 hectares which are developable. Of this, only 60 ha are allocated for housing development delivering 2400 housing units at a higher than average density. Eight ha are employment land and the remainder has been allocated for a new town centre, two new schools, leisure and commercial buildings. In a rough extrapolation then, to achieve the target MOD needed to release more than 1800 hectares of land upon which houses could be built, together with another 700 hectares of supporting land. As you will no doubt be aware, not all land is suitable for housing; some sites may be prone to flooding, some have environmental or historic designations, the topography of the land may make it unsuitable or, as with a number of our sites, it may be in the middle of nowhere. Overarching all of these factors, the defence estate exists to deliver defence outputs and we can’t just carve up the estate without first assessing the impacts on military working, training and living. 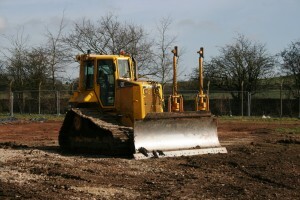 Obviously the first place to start looking for suitable housing land was therefore in the existing disposal programme. DIO continuously keeps the MOD estate under review and every year DIO is required to deliver some £100M of land sale receipts. The receipts are recycled into the defence estate budget and support the Capital Infrastructure Programme. “The earliest of freehold disposal, grant of long lease exceeding 99 years, other transfers of land and risk, grant of building lease, conditional disposals or where a developer is selected and obligated to build out or sell on the land and the land owner is contractually obligated to release the land”. So pretty wide ranging but needless to say, and as anyone who has bought or sold a house will know, property sales can be anything but straightforward. DIO takes part in a range of reporting and meetings to discuss our progress against the housing unit target with monthly written briefings (circulated to all Defence Ministers, the Secretary of State for Defence and the department’s Permanent Under Secretary). We also have regular and ad-hoc meetings with other departments and agencies such as the Department for Communities and Local Government, the Government Property Unit, the Cabinet Office, and HM Treasury. By 31 March 2015 we were delighted to be able to confirm that the DIO Acquisition & Disposals team had been able to score 38,778 housing units with additional land for 515 housing units being transferred to the Homes & Communities Agency. That target is now long gone. The new target under the current Government is yet to be set but as MOD remains the largest Government landowner, here we go again!